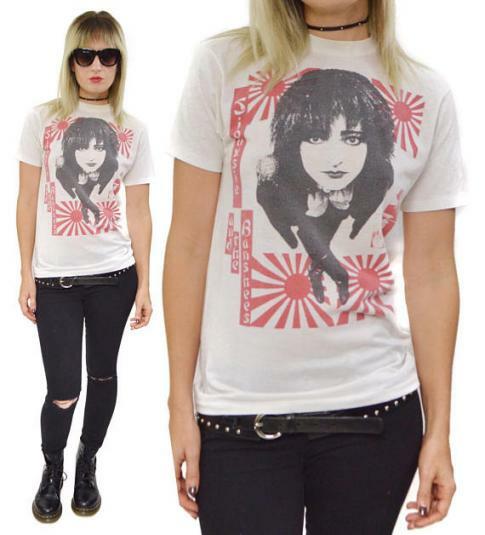 Super awesome 1980's Siouxie and the Banshees vintage white tee. By Hanes. Made in U.S.A. Great used vintage condition. Minor signs of age and wear. Light fade. Very light pilling. Light small spot on front top left side. Light small spot on front left side middle area. Light small spots on back right side by underarm. Light small spots on back right sleeve area. Light small spot on back left sleeve area. Please review pictures carefully. ??? ????? ?????? ????????? domain uz ???? ??????? ?????? ????? ?????????? ???? ??????????? ????? ????????? ?????? ????????? ??? ?? ?????????? ????????? ?????? ?? ??????? ?? ???????? ?? ?????????? ??? ????? ??? ?????? ???????????? ?????? ?? ??????? ???? ? ?